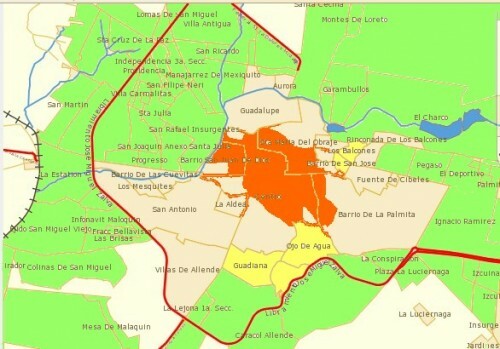 San Miguel de Allende is in Mexico. Many residents of this town don’t realize that. 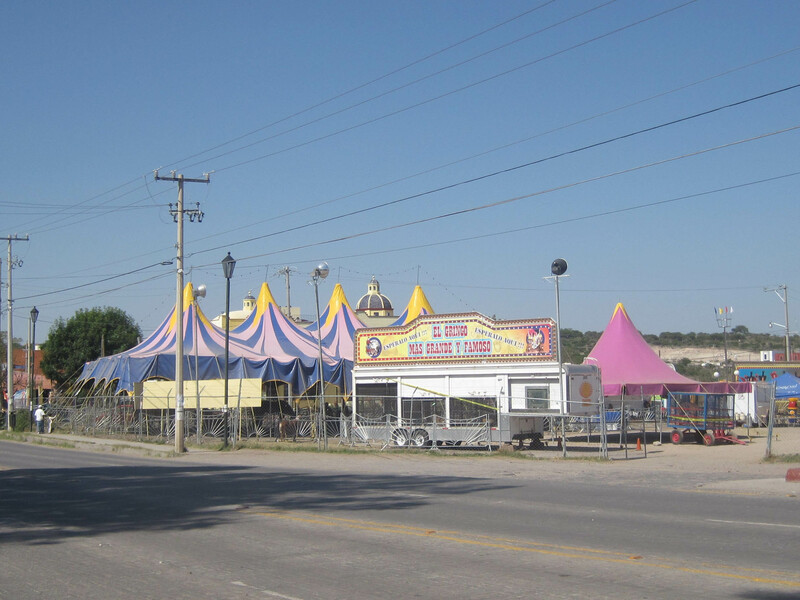 They see Texas license plates, buy a local newspaper in English, see Starbucks, Dunkin Donuts and Subway and soon WalMart and assume they are in a dirty part of the United States that has no minimum wages. When Stirling Dickenson founded San Miguel in 1937 he had no idea that people who moved there would form Gangs and change San Miguel over the years. 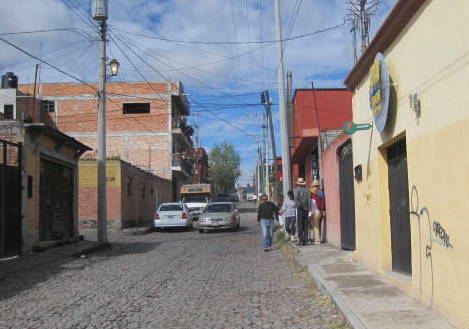 As Gangs bought up almost all the houses in Centro and all the land with a view (LWV), this pushed Mexicans further and further away from Centro and the VIEW. But moving further didn’t give Mexicans a sense of safety because they would find members of the Cheap Gang looking for Cheaper and Cheaper Accommodation, next door. So they were forced to create Gringo Free Zones. Signs alert you when you approach one. Tourists in SMA know nothing of this and this post is to alert them to the dangers in these Gringo Free Zones. 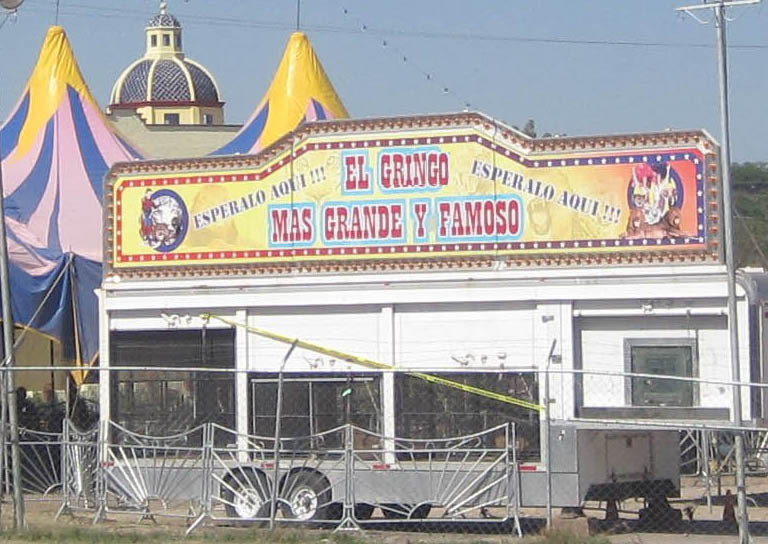 If you are a tourist and see this sign on the outskirts, DO NOT enter a Gringo Free Zone. 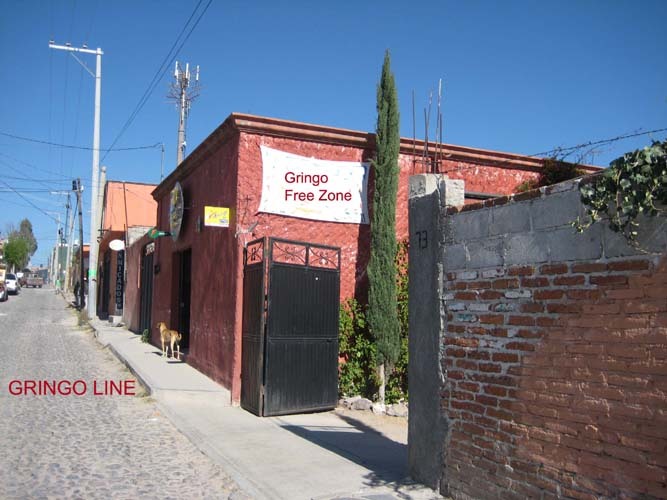 Gringo Free Zones have no lattes, no art, no wines, no maids, no dried flowers, no pretty painted houses, no one who speaks English and no cable TV. It is a scary part of Mexico and not at all like the United States. 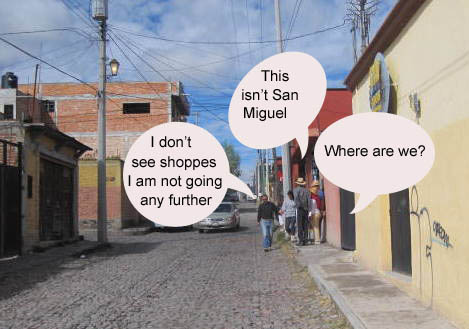 It is almost like a foreign country – so unSan Miguel. You will get no service there. So watch for the signs and KNOW. Little is written or said about what Mexicans think of Gangs and Gringras. The closest analogy is the spread of milfoil or zebra mussels in North America. Once introduced they are difficult to eliminate. But the Tuesday Market has found a use for Gringas. They are a bit tough and utterly tasteless but with some salsa rojo o verde they aren’t bad.